The Australian government has announced massive changes to its citizenship process. 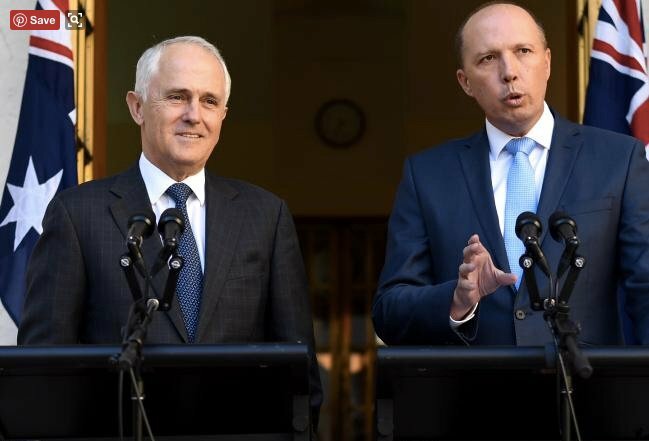 Migrants will soon face a tougher citizenship test that claims to assess applicants dedication to "Australian values" and will focus on religious freedom and respect for women and girls. “We’re not defined by race or religion or culture, as many other nations are, we’re defined by commitment to common values, political values, the rule of law, democracy, freedom, mutual respect, equality for men and women ... and our citizenship process should reflect that,” said Prime Minister Malcolm Turnbull. The importance of "Australian values" is the core reason for this reform, according to a media release. It has not been revealed exactly what these "Australian values" are or how they will be tested. Read the full press release here. The new citizenship test will comprise of a more in-depth English test to prove applicant's proficiency in the language. It will also ask applicants to demonstrate their ability to integrate, with attributes such as having children enrolled in school, being employed or involved in local clubs to be taken into consideration. Proposed changes to Citizenship Test is a return to the dark days of the White Australia Policy. These policies belong in museum not 2017. The new test will also pose specific questions about domestic violence, forced child marriage and female genital mutilation. As Senator Penny Wong points out, these are already criminal offences in Australia. “I have to say it seems a little odd to me that you’d actually ask people whether or not they’re going to obey the law when they already pledged to obey the law. I mean these are, as appropriate, these are criminalised activities.” Senator Wong told The Australian. In a further change, migrants who are granted permanent residency must now wait for four years to apply for citizenship rather than the current one year wait. If applicants fail three times they will have to wait two years before taking the test again. It has been a big week for changes to Australia's immigration system. Earlier in the week Prime Minister Turnbull and Dutton announced plans to abolish the 457 visa in a move to put “Australians first." The temporary 457 visa allows skilled foreign workers from a range of industries to enter the country. The new replacement visa will not allow workers to apply for residency at the end of their stay. The list of occupations that qualify for the visa will also be reduced. “We will no longer allow 457 visas to be passports to jobs that could and should go to Australians,” Mr Turnbull told news.com.au. The announcement has been met with backlash from many who have pointed out that less than 1 per cent of Australia's 12 million-strong workforce are on 457 visas. Conservative senators Pauline Hanson and Cory Bernardi are in favour of the changes and have gone as far as claiming credit for it. Others have highlighted the timing of the announcement as is came only hours before President Trump also cracked down on visiting working visas and signed the "Buy American, Hire American" executive order. So what are Australian values and who defines them? If it is the Government who defines them then aren’t these values open to change every time there’s an election? It will be interesting to see if this shake up to the country's migration process will survive the Australian senate.